Dubfire is a big fan of Ibiza. Choosing to spend much of his time between Barcelona and the White Isle in the summer months, the renowned DJ/producer is set to celebrate ten years as a solo artist on the island this year. 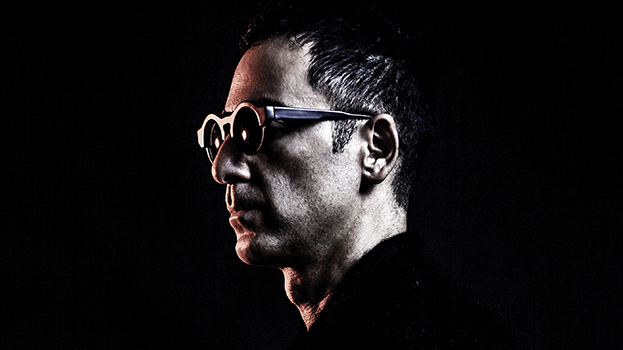 He’s lined up dates at Amnesia, Space, DC-10 and Pacha over the coming months, where he’s tipped to play with his new live touring set-up, titled Dubfire:liveHYBRID. It’s a decade of Dubfire in Ibiza this year, what’s the toughest professional lesson you’ve learned in the last decade? Global Underground has just released a box-set collection of your 'GU25' mix — what’s your thoughts on dance music nostalgia? Last time DJ Mag met you, it was in Miami. Be honest, are the crowds in Miami too commercially-focused for your liking? And your thoughts on the Space closure? “One ending heralds a new beginning." You’re touring your Dubfire:liveHYBRID show this year to great acclaim! Do you think people are moving back to live music sessions rather than homogenous ‘Beatport Top 10’-style sets? You just played at Richie Hawtin’s mixer launch in Berlin, will you ever collaborate? WE MUST KNOW! Finally, we read on your reddit Q&A that your dad is a poet. What’s your favourite poem of all time?